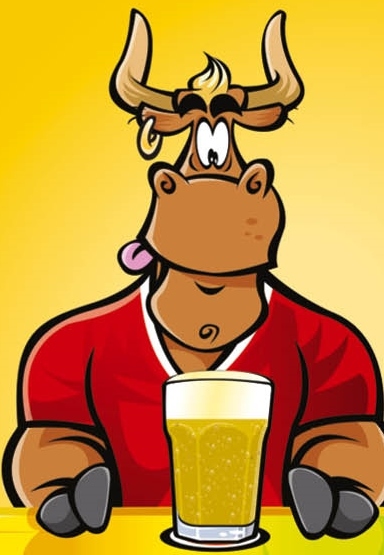 In this funny and tactical card game the Bulls are all dried out. 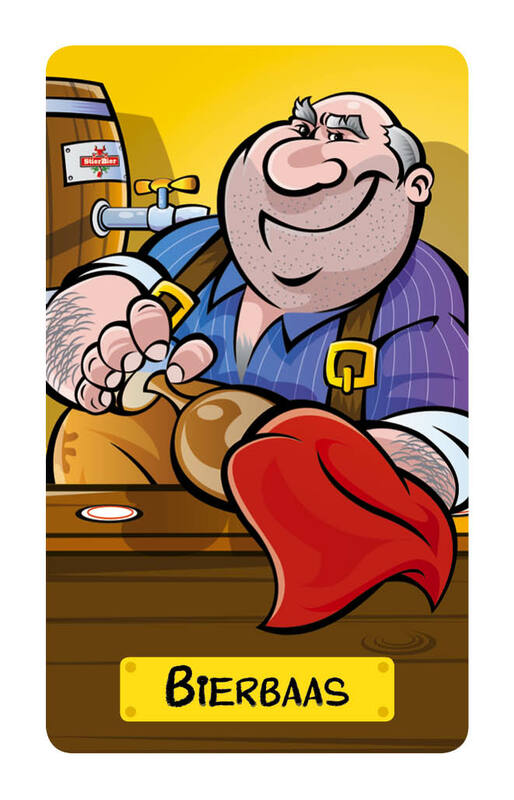 As a bar keeper you seek to make your pub the most popular in town. 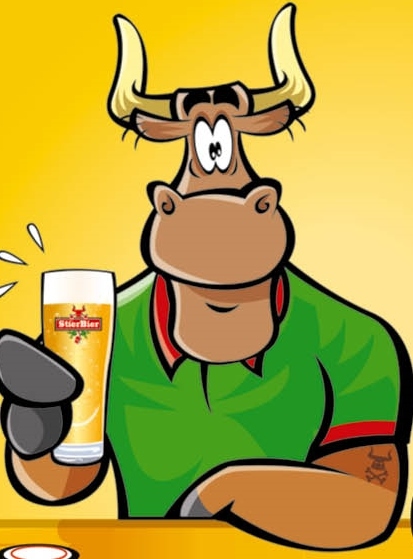 You and the other bar keepers will do anything to get their place stacked with Bulls and to serve them their favorite beer. But the bulls are very picky! So it is important that you have the right beer in stock. And this is one the smart dilemma's which makes this game fun and makes you thirsty like hell! 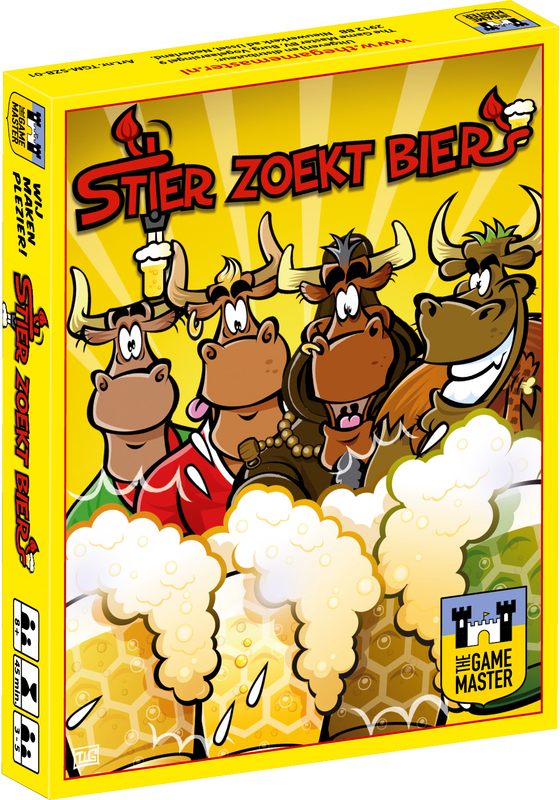 Stier zoekt Bier is easy to set up, has simple rules and can be played within 30 minutes by the experienced player. 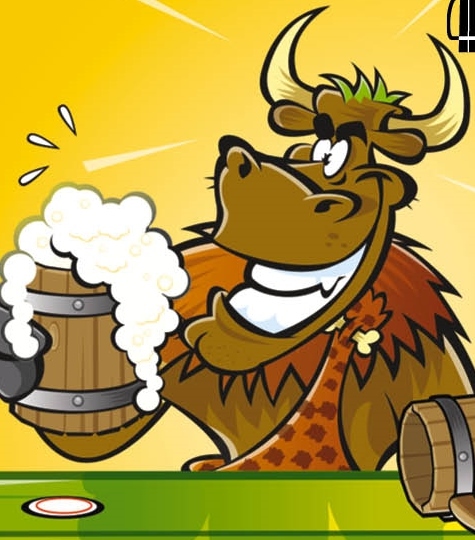 The flavour of the game is neat, due to the multiple dilemmas and interaction: which of the tasty beers should I buy? Do I want to be the most popular bar keeper or do I want to keep an eye on my strategic perspective and just save some beer in my cellar? Do I choose the beer I need or want myself or do I check out the needs of my neighbour who gets the cards I leave in the deck? Which bull do I choose? And where do I serve the beer, to gain the most victory points? Do I double up with two Bulls? And how do I prevent the alcohol abuse by flusing it down the drain? Pietje Pils, Bennie Blond, Bruno de Bruyne en Ozzy Oerstier are looking for their favorite beer. They are thirsty, but still... they are selective in their choice of beer. Pietje only drinks draft beer. Bennie only wants to have wheat beer. Bruno loves to get some brownies and Ozzy only drinks the heavy stuff: Oerbier! More fun with cows and bulls! 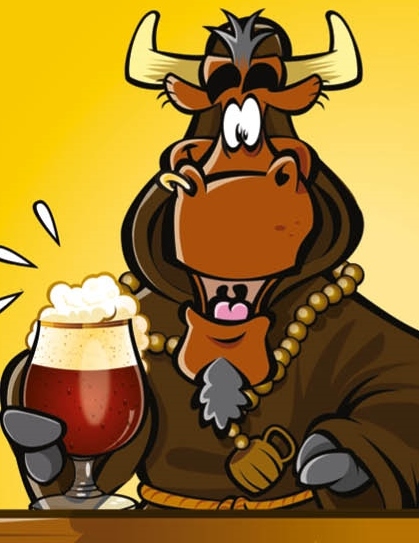 Stier zoekt Bier has been inspired by the success of Koe zoekt Boer (Happy Cows) and the other titles in the series of cow games. Over 60.000 copies sold! If you want to distribute our games in your country, please contact us.